For as long as Josephine Alibrandi can remember, it’s just been her, her mom, and her grandmother. Now it’s her final year at a wealthy Catholic high school. The nuns couldn’t be any stricter, but that doesn’t seem to stop all kinds of men from coming into her life. Caught between the old world values of her Italian grandmother, the nononsense wisdom of her mom, and the boys who continue to mystify her, Josephine is on the ride of her life. This will be the year she falls in love, the year she discovers the secrets of her family’s past, and the year she sets herself free. Told with unmatched depth and humor, this novel, which swept the pool of Australian literary awards and became a major motion picture, is one to laugh through and cry with, to cherish and remember. Josephine Alibrandi is not just another teen. She's intelligent, well spoken, responsible and isn't afraid to voice her opinions, even if it is in front of the Sister's at Saint Martha's Catholic School. Jose has always felt as though she didn't fit in, Christina, her single parent mother was shunned from the Italian community, and even though she was born in Australia, she feels Australian's only consider her to be another Wog. The girl can't win. Jose has never known her father, her mother having fallen pregnant to the boy next door when she was Jose's age, which Nonna has never let her forget. Her teen father never knew about the pregnancy, but moved to Adelaide leaving Christina to face the wrath of her parents. Jose and her mother have an unbreakable bond, and both share a distaste of Nonna and her meddling. Nonna means well enough, but she's constantly worried about her family being judged by the close knit community. Jose is proud of her heritage, but wants to live a little, the problem is that once she attempts to have a life, someone is bound to see her and phone Nonna. Yeah, the girl just can't win. But two men are about to shake up her life, her father and Aussie Jacob Coote. Nonna's theatrics will definitely be working overtime. Jose will soon find out that life isn't black and white, Australian or Italian, and the two strongest women in her life will love her all the more for it. 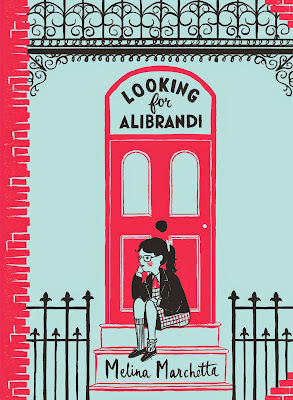 Looking for Alibrandi is an Australian rite of passage, and I'm embarrassed that it has taken me so long to discover another Melina Marchetta masterpiece. I live in Melbourne, which has almost half of the Italian Australian population. Growing up, I had friends of Italian heritage and now having family members that have married into large Italian families, I loved the European representation, it added a dramatic and source of fun towards the contemporary storyline. Italian's are a passionate people, and no one can create a more realistic scenario than Melina Marchetta. In the eighties and nineties especially, those of Italian and Greek decent in Australia were widely called Wogs. It wasn't used as a derogatory term, but in the wrong hands it could have been. But throughout Jose's teenage years, sadly she experiences a similar naivety between both the Italian community who are very stuck in their ways and Australian's who's narrow minded views are the reason that some immigrants had decided not to assimilate. In the midst of it all is Jacob Coote, Australian, public school student and proof that you don't need to be Italian to be overly dramatic. His character although infuriating, played a pivotal role in Jose's life. He represents the typical Australian teen boy that isn't all that different from the old values that Jose's community expects. He attempts to prove that he's more than a stereotype, but fails miserably. 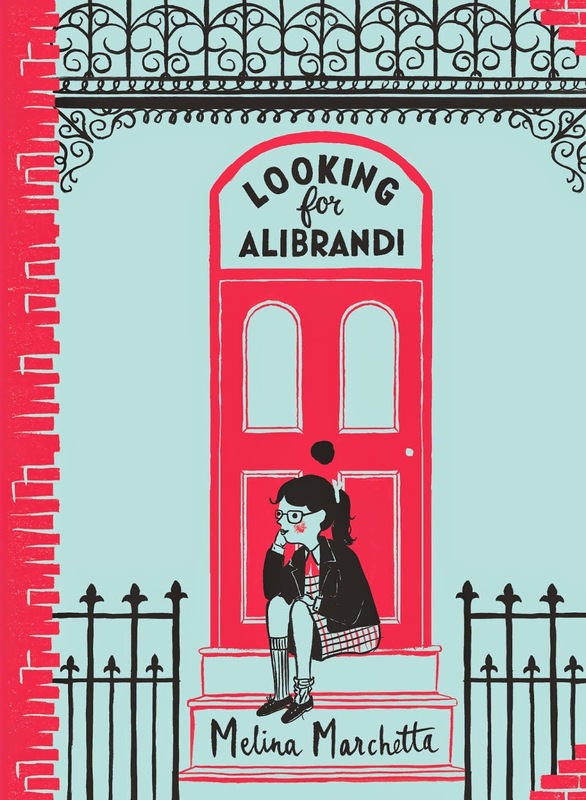 I absolutely loved Looking for Alibrandi, it's such a realistic representation of Australia in the nineties and along with Looking for Francesca, Melina Marchetta has only further cemented her place in Aussie literature folk law. i got this from penguin as well but haven't been able to read it quite yet. can't wait, i know it's fab because i've already watched the movie. It was brilliant Melanie, hope you can get around to it soon. I haven't actually seen the entire movie, just snippets when it's been on. I must grab a copy this weekend and check it out. This was a fave of mine during high school, I'm glad you loved it! I was in year eight or nine I think when the original was released, if only this was part of the curriculum back then, I may have enjoyed high school a whole lot more. It was a great book during high school, definitely a rite of passage lol! Glad you finally discovered why it's such a loved YA story. I just love how it depicted the Italian culture in Australia for a young teen. Me too Jeann and not to sound as though I'm stereotyping, but I thought it was really spot on. The older and dramatic Nonna's blessing themselves after gossiping about other Italian's, it will hilarious and a pretty accurate portrayal. I totally agree leader of minions, if you hadn't heard of this one, you might mistake it for a middle grade novel. I'll have to have a look where I can buy the audio book from, I can imagine the accents are probably really charming and add to the whole experience. I'm just kicking myself that I hadn't read this one earlier.